DURHAM, North Carolina (WTVD) -- Christian Troy Clark, 23, of Rennert Road in Shannon, North Carolina, was charged with one count of first-degree murder and one count of felony intentional child abuse inflicting serious bodily injury after a 16-month-old girl died at Duke Medical Center from physical injuries. 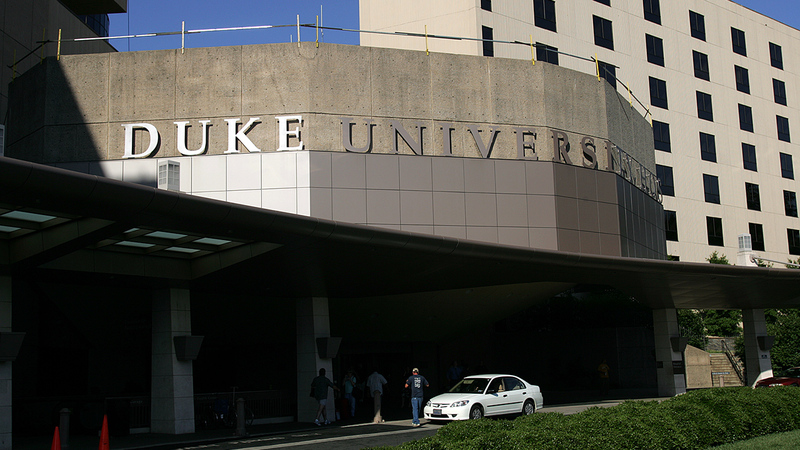 The child, Kinsley Oxendine Scott, died Saturday night after being transferred to Duke from Southeastern Regional Medical Center. She had severe bruising on her body and was placed on life support when she arrived at the Durham hospital. The Robeson County Sheriff's Office said it received a call Friday about 6:10 p.m. from Southeastern Regional in reference to a child abuse. Kinsley, who lived on Old Whiteville Road in Lumberton had obvious physical injuries and was treated in the ER before being taken to Duke. Kinsley died Saturday and an autopsy was performed Monday, the sheriff's office said. Preliminary autopsy findings revealed the little girl was subjected to blunt force trauma and died as a result. Clark is being held without bond.